Recently iPhone users have been reporting that their devices will turn off at random during use. This seems to be a reoccurring issue that requires the phone to be restarted and leaves the user confused. This problem seems to be more involved with older iPhone models such as the iPhone 3 and 4. In identifying this problem, the iPhone will change screen to the Apple icon as if you are turning on your device or restarting it however this will occur while in regular use without notification. Apple users have reported that the device may even restart itself multiple times and become stuck in a loop. Additionally, it may freeze or get ‘stuck’ during this process inevitably leaving the device unusable. An even worse case scenario it is possible to see different colored screens during the restart process all of which are not normal. As an Apple device customer, it is important to identify these issues when they arise so that your device remains working properly. If the users iPhone has one of the issues reported previously it may be important to follow along to troubleshoot the issues. Moreover, if your iPhone is unresponsive there will be further steps to take in resolving problems such as this. As stated earlier these problems seem to occur more often with older models of the iPhone such as the 4, 4S, and 3GS. How to Back Up Data Using iTunes? The primary and most important step in the troubleshooting process is backing up your device. This will insure that the device does not lose any valuable data while taking various measures to reset the device and allow it to function properly. 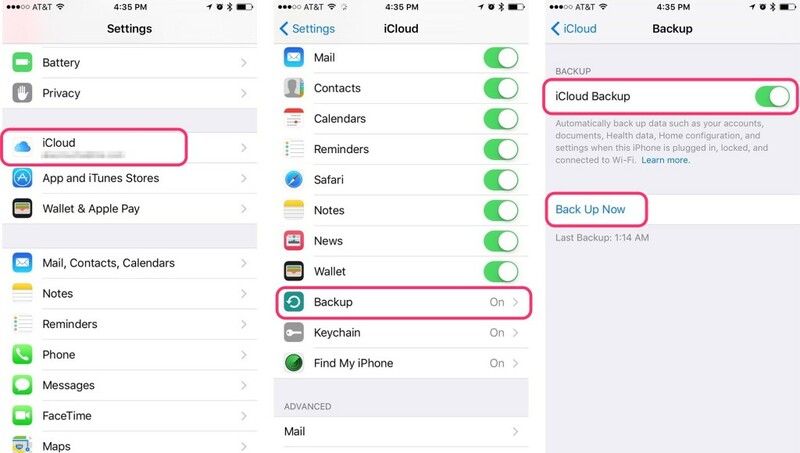 Backing up your IOS device is simple and can be done by going into the Settings under iCloud and look for Back up. When the option is selected this will save all of the current data on the device to the users iCloud and ensure that the data is not lost upon resetting the IOS software. If you do not have the iCloud option set it is also possible to back up data using iTunes. This can be done by connecting the device to a computer and saving the data to its hard drive. Backing up data to a computer hard drive may be one of the easiest and most secure ways to make sure you do not lose data however it is not required. Another important step in the troubleshooting process is making sure the software on the device is updated. To do this, users can go into the IOS Setting and under General is Software Update. If the device does need a software update there must be a stable Wi-Fi connection. Make sure that the device is connected to the Wi-Fi in your location and the update will begin. However, before you actually update the software on the device, it would be a smart idea to back up the device if not already. This may seem repetitive but it really can save headaches in the future if there is valuable media on the device that must not be lost. One not so obvious reason your device may be restarting or turning off unexpectedly is that some applications on the device are outdated which could be causing this issue. This can be easily solved by updating your apps similarly to the software update however you must go to the iTunes store on the device to update said apps. Additionally, one simple step to take in troubleshooting your iPhone is to do a force restart. If you are experiencing random shut downs or your phone is unresponsive you can still force restart by holding down the Sleep/Wake buttons and wait for the normal on screen to appear. Doing a force restart does not require the user to back up data which makes for an easy way to try solving the issue. 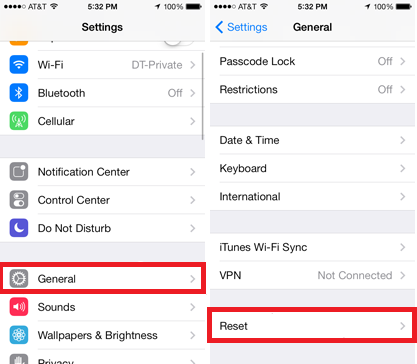 Next you can try to reset your general phone settings by selecting ‘Reset All Setting’. This option can be found in the General settings under reset. It should be noted that this option does not reset any data however it will delete some settings such as a Wi-Fi password. 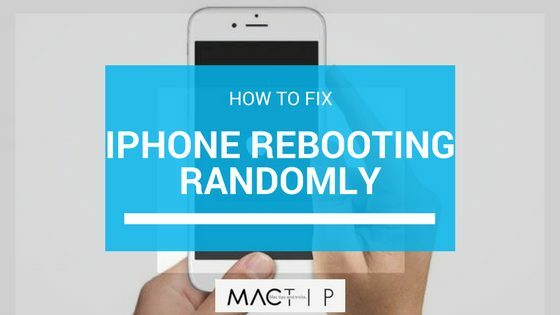 One last option you can try if the iPhone is unusable is to update the device in recovery mode. This option requires a computer and you will need to connect the device to iTunes. You will hold down the buttons on the device similar to a force restart which will trigger the Apple icon on the device screen. After this has been carried out you will be able to update the device through iTunes.